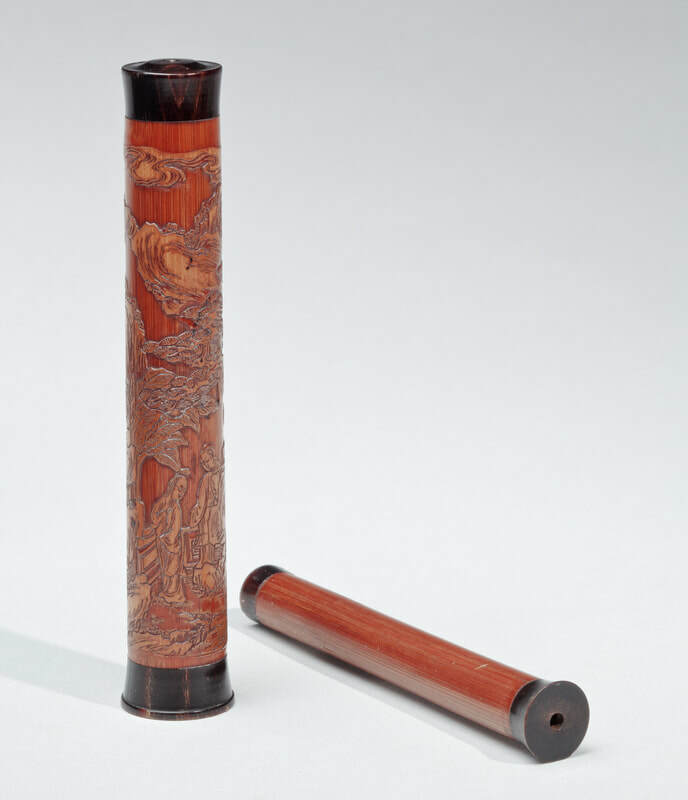 A small cylindrical, suspending bamboo message holder with interior, separate cylinder, both secured by sliding silk cords. 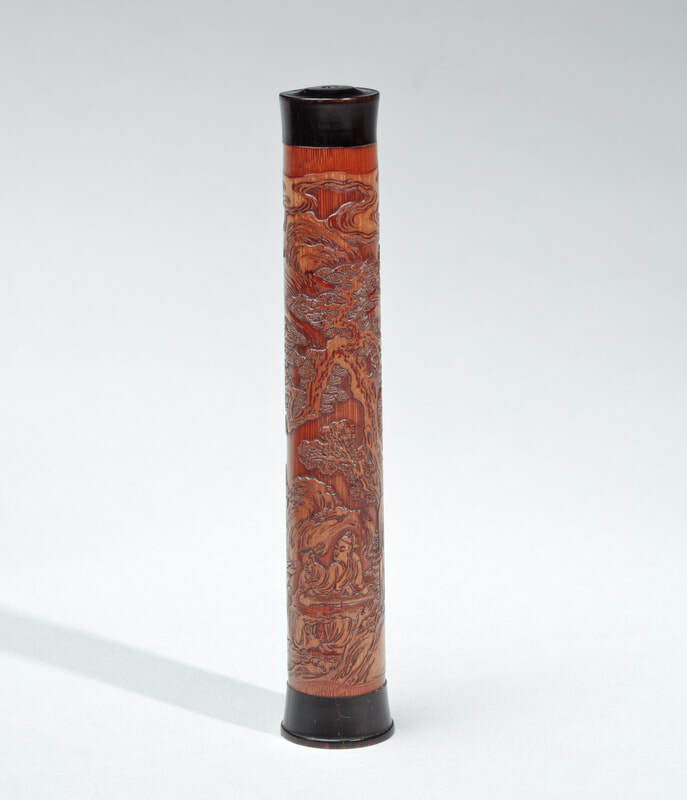 The tube is carved in a technique known as liuqing(literally, “retaining the green”), whereby the outer skin of the bamboo is retained and worked into design, here with a male figure playing the qinwith an attendant seated beside him, and with two female figures separated from the qinplayer by a rocky outcrop within a background of mountains and trees and swirling clouds. 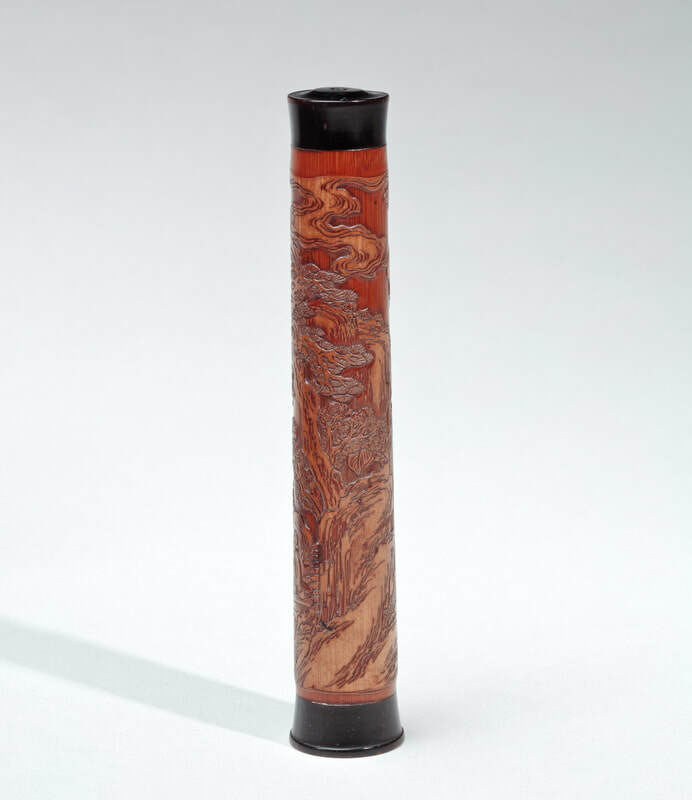 The outer cylinder is mounted at the top and bottom with buffalo-horn ends that are stained black. From the lower black end, the cord pulls out the smaller cylinder that fits inside to hold a rolled message slip; this inner tube is uncarved, but with colour and sheen matching the exterior polish, and also has black buffalo-horn caps on each end. The internal cylinder is fitted with a silk cord with a sliding knot and the exterior cylinder is fitted with a silk cord strung with an amber bead at the upper end and a bamboo bead on the lower. China. 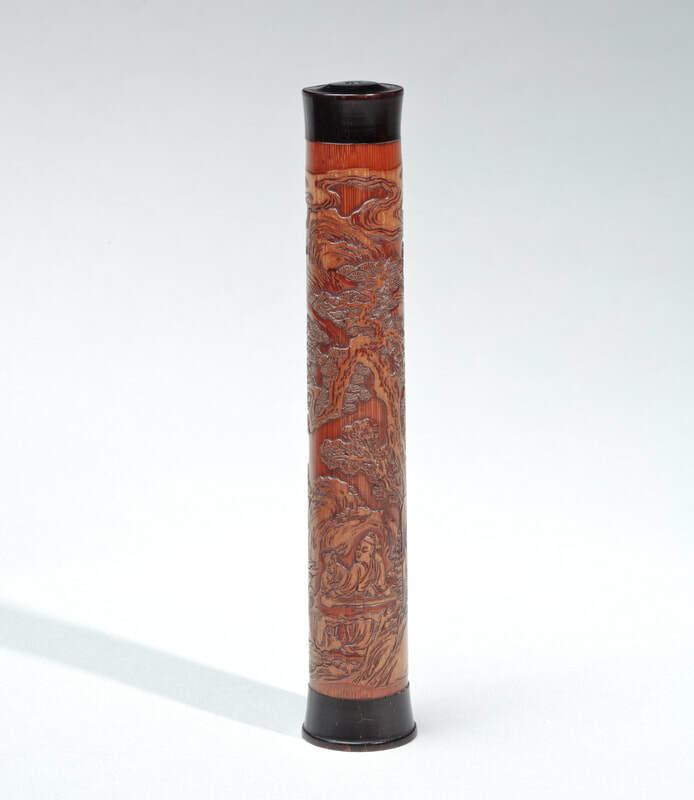 Qing dynasty, late 18th–early 19th century. John C. Weber Collection, New York from 1994 to 2017.